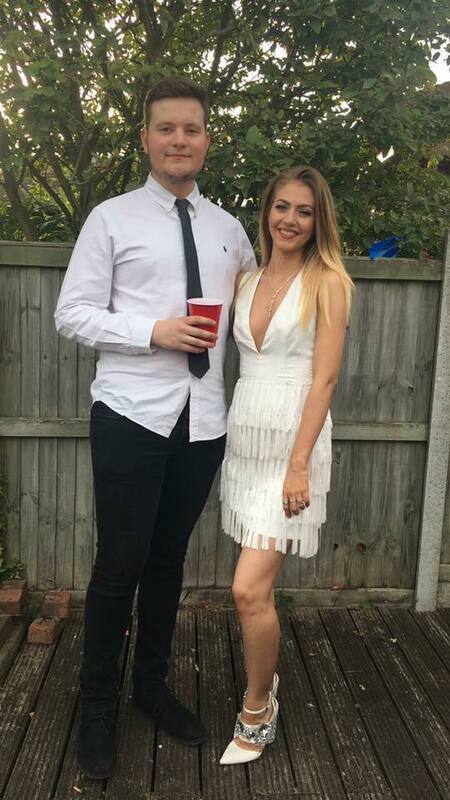 My Summer Ball has just been and gone and for the first time at a big event , I think I was happy with all aspects of my outfit. I was reusing a dress so that wasn't too much of an issue and it meant I could just focus on completing it and getting all the fine details. I know Proms are coming up soon so I hope some of this helps! I know, I know- one of the most exciting things about prom is buying the dress and if you want to make that the bulk of your budget, who am I to tell you not to! Just try to remember to save some of your budget for shoes. You will get a lot more wear out of them. The dress I worse to my summer ball was £25 in the Missguided sale but the shoes £65. 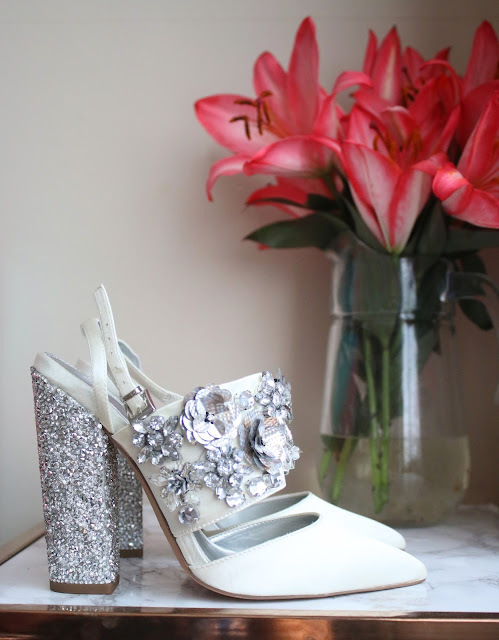 The shoes I will 100% wear a number of times whereas I feel like the dress I probably only have one more wear out of. This makes me sound very old, but when I had my first prom in Year 11 there wasn't a lot out there in terms of affordable, online dresses. Now there's heaps of available websites so I suggest looking there before splashing out loads on a boutique dress you will probably never wear again. I bite my nails but I know that polished nails really complete an outfit. At the same time, for one night only, I really don't think it's necessary to spend £30 on acrylics. 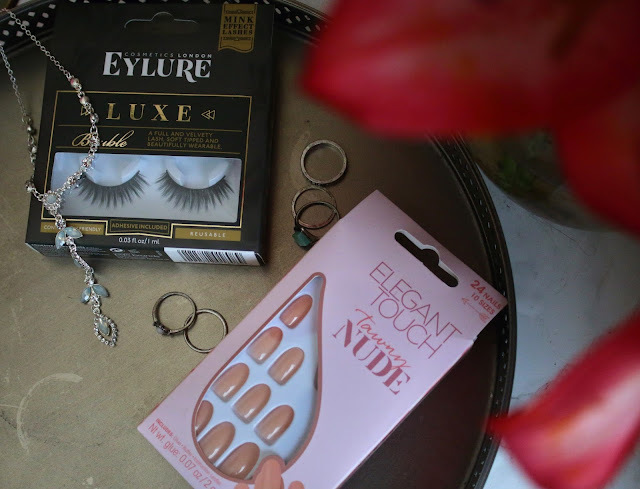 I love elegant touch nails* They are super easy and fast to apply, plus you get extra nails so if for any reason you lose them ( I didn't) you can reapply during the night. They don't look fake and they don't feel like they're about to snap off every time you text too! Very affordable and finish off the outfit perfectly, please don't forget about your nails! This includes your toes. I knew I wouldn't have time to perfect my feet and so I opted for closed toes shoes, which is a bit of a cheat, but think about these things when you buy. 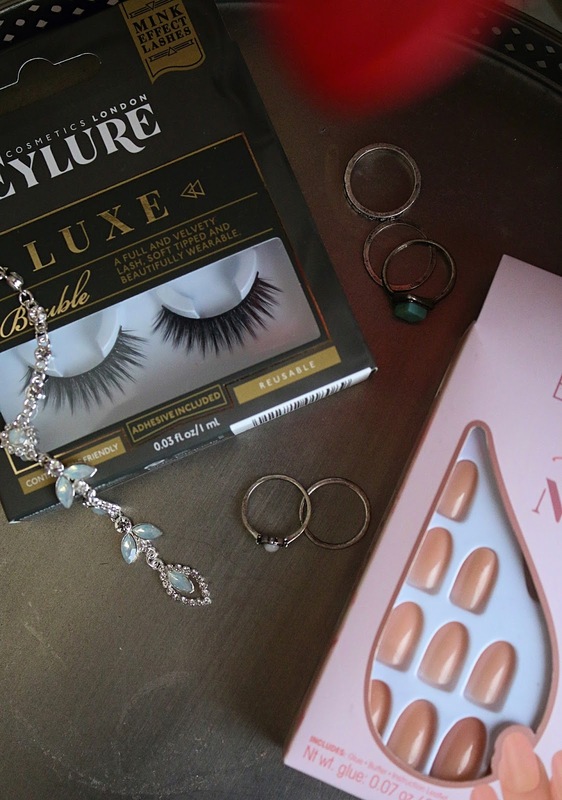 Lashes are a bit of an odd one to include in this list as it probably comes under make up. Again, my age group didn't have youtube gurus to follow so most of us got our make up done but I'd imagine now that most girls do their own and I'd also imagine that lashes are probably an extra step to the usual look. So again, plan in advance what make up look you want and how lashes, if you want them, to tie in. I did a bit of a halo eye for my make up, so wanted really bold lashes which would make my eyes stand out and whole look look really glamours. The Mink look eyelashes from Eylure* were an obvious choice. 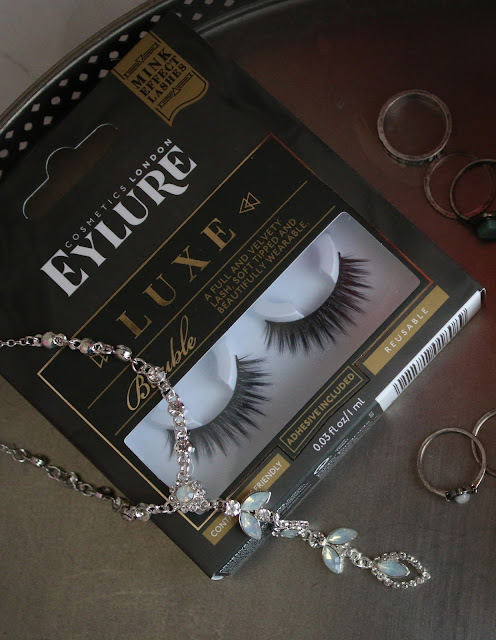 As someone loves eyelashes but doesn't want to take out a mortage on actual mink ones these completely fit the bill. They are , lightweight and blend with my real lashes really well. If you're not used to wearing lashes, practice applying with a few cheap pairs before hand. Your best smile is a sure way to finish everything off too, fake tan can help your teeth look brighter but a teeth whiting treatment leading up to the event is your best bet. I'm really not a big jewellery wearer in the slightest. However, because I planned ahead with my dress it gave me more time to think about what to accessorizes with. My dress was white and shoes had silver in them, so I wanted to stick with these colours plus maybe a few extra tones on my rings. As you can see from my pictures my shoes and dress were pretty embellished already so I wanted to wear pieces that would compliment rather than be centre stage. There wasn't much choice for necklaces of that shape and colour, luckily there was one from new look which was perfect anyway. I really couldn't be bothered with looking into getting loads of matching rings so went for a multipack from ASOS and because I had nice nails, I could draw attention to my hands! Remember when you're purchasing your jewellery whether you want to make it the statement or just compliment.